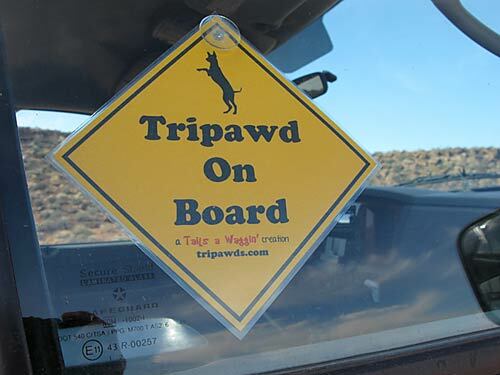 Now you can hit the highway with Tripawd Pride, thanks to Teena Hopper and Roxy from the Tails a Waggin’ gang! 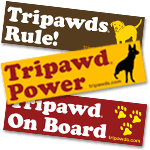 Check out these brand new, limited-edition “Tripawd on Board”car window signs they created and donated to help support the Tripawds community! 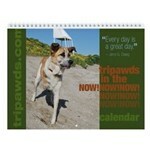 These pawesome attention-grabbers are 5.5″ x 5.5″, printed on card stock and laminated. A strong suction cup is included too. 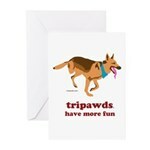 Each purchase helps to support the Tripawds community and keep things running smoothly. The signs sell for $8 including shipping and are available in the Tripawds Etsy Shop. Hurry and get yours today! 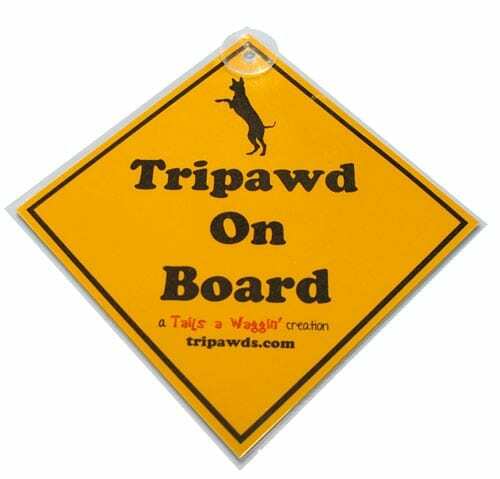 These limited-edition Tripawd car window signs are sure to sell out fast. *All orders will ship out after November 15, 2013. Thanks for your patience!